Grande West Transportation announced a new Vicinity order for approximately $1.6 million. The order is a follow on for new Vicinity buses to be delivered to the Société de transport du Saguenay (STS) in 2018. “We are pleased to receive another order for additional Vicinity buses for service in the province of Quebec, an area we believe there is tremendous opportunity to ‘Right-Size’ fleets,” said Jean-Marc Landry, CEO of Grande West. 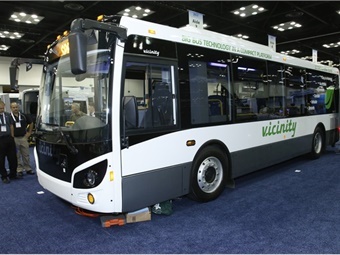 The company’s current total firm orders for Q4 2017 through 2018 delivery of Vicinity buses are for over 300 buses valued at over $93 million.